Viewing Syriza through the prism of British Marxism is not a wholly rewarding experience. I do not feel much sympathy for that minority of my former comrades who admire Syriza because they seem to see it as offering an example of a clique capturing the leadership of millions of people, who are attracted to Syriza not in so far as it is often principled but because it is sometimes opportunist, and who want to offer their services as leaders of the movement here by claiming some of the qualities of Syriza (such as its leaders’ sharp-dressing and their relative youth) that are easiest to separate from the intense political crisis that makes these features engaging. Nor am I altogether persuaded by others who complain of Syriza that it does not say enough about smashing the state. Undoubtedly, Syriza will fight its final battle against social forces (New Democracy, the fascists, the army) in Greece. But its immediate struggle is not against domestic so much as international adversaries. In this respect it is a harbringer of the social movements of the epoch to come. Just as a century ago, Stefan Zweig described the way that the dramatic change of speed associated with new technologies (cars, telephones, aeroplanes) altered the rhythms of humanity, displacing generations that had walked slowly and spoke to each other in measured tones, who were fat at forty and proud of their corpulence, with younger, impatient people, so something like the same dynamic is working itself out in all our lives: the speed of global communication is altering the way we do politics. It is not just making people more confident to be contemptuous about politicians (“anti-politics”) it is also creating problems whose solution can only be international. And as one of Zweig’s contemporaries pointed out, when social movements cross borders the rules that ordinarily require all revolutions to limit themselves to political rather than social objectives cease to operate. It could be that Syriza will smash the state to pieces, using workers, unions and co-operatives to forge a new workers’ state – but even such a formation would still face the problem of paying Greece’s debts. You could no more have socialism in one country in 2015 than you could a century ago. Syriza is interesting because it rejects the orthodoxies of neoliberal capitalism, an in so far as its relationship with its supporters may be changing, and the relationship may be radicalising and the party may be taking on (as in Venezuela a decade ago) something more like the character of an insurgent state. I do not say that it has yet done any of these things, only that the possibility remains open. Syriza remains interesting, then, as a serious project of left reformism, and to criticise it for not being revolutionary is to criticise it for lacking strengths which it has never claimed. The idea that troubles me most is that Syriza is somehow just the product of a rising Greek social movement, which would inevitably be replicated in other settings – in Britain – if only we enjoyed social movements (strikes) of a similar scale. The usual criticism of the British left is that we demand the credit for all our successes and put the blame for all our defeats on other forces. Syriza gets the same treatment in reverse: when it fails to meet our hopes, Syriza gets all the blame but in so far as it does well, its success is put down to luck. The method I am criticising is a way of thinking about social movements which replicates in the sphere of politics the mistake that “Leninists” used to ascribe to “syndicalism”. In other words, a politics which does away with contradictory consciousness and assumes that the mass of the people are always on the verge of protesting, and that the only direction of future protests is of continuous, further advance. When this way of thinking is applied to Syriza, it operates by saying that the political sphere may show gains (or defeats) but in the end neither matters provided that political activists spend their time building social movements. For the calibre of any political leadership is determined ultimately by the mass movements which police it. No political victory can take place ahead of the extent of the political education of the masses in socialism, therefore it is there, in the movements, rather than in the political sphere, that all hopes must be aimed. It is odd to find this argument, which reheats early Menshevism, asserting itself in the publications of people who consider themselves Leninists. What Syriza is showing, and what they are missing, is the capacity of political actors to make decisions which change the balance of forces. Of course, this process cannot go on indefinitely, but at rare, key moments history is ruptured – time is beaten – objective circumstances are defeated and altered. “The materialist doctrine concerning the changing of circumstances and upbringing forgets that circumstances are changed by men and that it is essential to educate the educator himself … The coincidence of the changing of circumstances and of human activity or self-changing can be conceived and rationally understood only as revolutionary practice.” When a group of socialists are trying to do this, the only legitimate response open to those who consider themselves revolutionaries is to show interest, to give support, and to seek (in whatever limited way we can) to deepen this process. No recent movement better illustrates the need to go beyond a syndicalism of protest than the revolution in Egypt, where the left was conscious of the need always to build the mass movements, and shy about intervening in the political sphere. Egypt involved hundreds of thousands of people in strikes and in protests. They burned down police stations; they toppled a hated President. When counter-revolution began there, it arrived in the form of demonstrations and further protests, with counter-revolutionaries taking on the garb of social movements for democracy (tamarod). And, in Chile, it was the same process: before Pinochet there were the truckers’ strikes. The reason why an international generation of anarchists, syndicalists, and revolutionaries of every stripe adopted Communism in the 1920a was because they thought Lenin had discovered a theory of politics which classical Marxism lacked; ie that he and his supporters looked in every moment for the social forces that brought closer the revolution of all the oppressed, and that they did not wait for social movements, but believed that conscious political activity could open new opportunities into which the movements could advance. It is one disgrace of our Leninists that they cannot learn even this from Lenin. For more on the relevance of the electoral arena, check John Riddell on the Worker’s Government. Given the almost anarchistic purism of the British left, they probably would regard this as a Comintern error of major proportions. Who is that minority of comrades you allude to at the beginning of the article? 1) People making “decisions” is one thing, but, just to be clear, decisive successful action is another matter, for here what was physically possible – not just ideationally possible – already existed. To believe otherwise is voluntarist and necessarily adventurous. 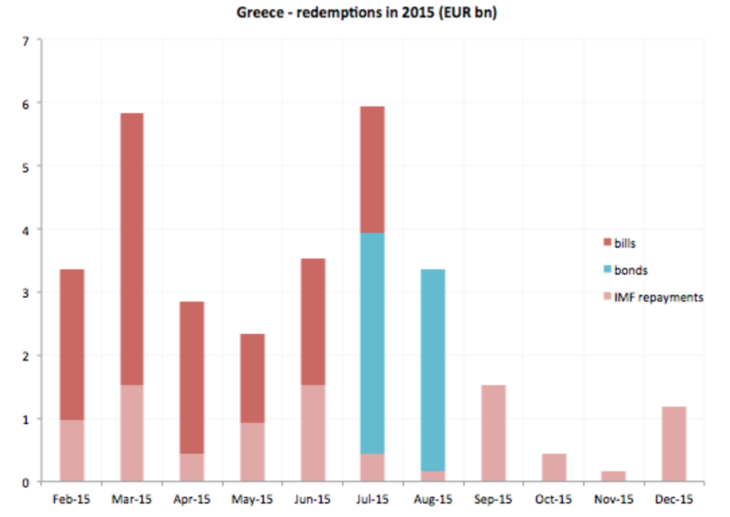 The Greek government may take the unlikely step and decide to default, but without loans from Russia (or China even) there won’t be any meaningful increase in state spending. Decisions need means. 2) On your imagery and metaphor of “history is ruptured – time is beaten”, as the authors of multiple times put it, one possible temporal extension is always projected at the expense of the others. Temporality has both a generative and a generated dimension, and temporality is a quality of human living, be it of the relations we live in (such as the turnover time of capital) or of ourselves as both agents and patients. It means that temporality is not an external metric – reduced to duration, and quantified – but is an inner-relational quality of organised people. As I’m sure you agree, it is up to those not in the government, within SYRIZA and outside, to promote a different horizon. 4) And what does the January election indicate on this front? a) Golden Dawn’s vote went down 16% (from 462 000 to 388 000), and was one-sixth of SYRIZA’s. b) The electoral front involving the International Socialist Tendency, ANTARSYA-MARS, didn’t do too well: their vote (40 000) was just over one-quarter of the spoilt and blank votes. c) Turnout was 64%, even when Samaras had made it plain the chips were down and the nation needed to decide. Nevertheless this was up 1.4 percentage points on the last general election, 2012. The SYRIZA victory rally outside the parliament was a mere 2 000 to 3 000. And this for the first government in Greek history formed by a capitalist workers party. The simple fact is that the Greek people are exhausted. By and large they just want to sit back and hope the Tieless Guys can strike some deal or two, with whoever, as soon as, to end the hell all classes have been enduring. They know money doesn’t grow on trees, and are simply hoping for the best. 5) To finish with Varoufakis and chief negotiator Dragasakis. To be frank, Varoufakis is Adenauer – but without the tie. And not as militant. Why do I say that? London 1953. We all know about the Marshall Plan but this was its necessary counterpart. Just over half of Germany’s debts were written off, and all sorts of other concessions were won. One civil servant must have garnered some Brownie points by coming up with the bright idea of effectively forgiving some debt by making repayment conditional on there ever being a re-united Germany: who imagined that in the early ’50s?!? Achieving the London unburdening was the real German economic miracle. When Varoufakis met Schäuble in Berlin last Thursday he had the opportunity at the press conference to directly inform the German people of the Wunder their government had achieved in 1953. He chose not to. 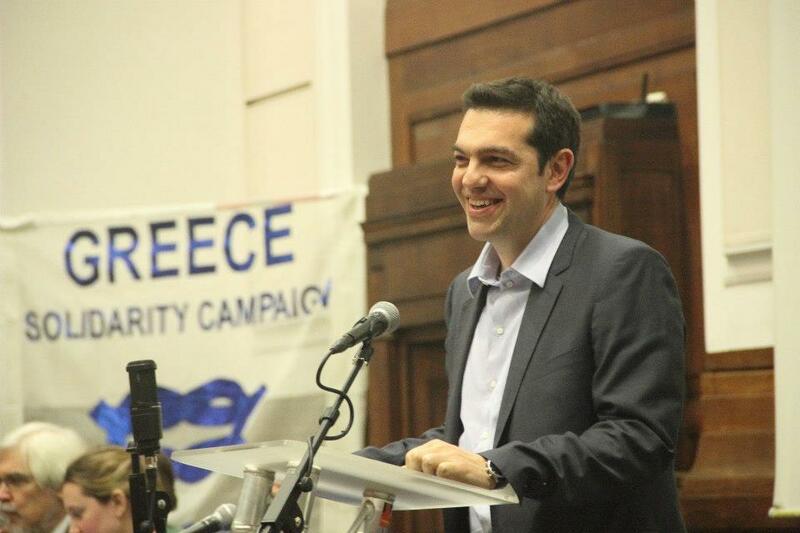 Instead he spoke about the spectre of fascism in Greece. He missed a great opportunity to put today’s Greece in the right – even capitalist – historical context. But Varoufakis plays by the rules. Jara Handala – Your suggestion that Varoufakis “missed a great opportunity” when he met with Schauble is ridiculous. Varoufakis was 100 per cent correct to remind Schauble (who has an anti-fascist record) that Golden Dawn Nazis are waiting their moment to strike if Syriza offensive fails. THAT is the reality. 1) John, I don’t think it ridiculous to take advantage of an early opportunity to both put Greek debt in perspective and inform the German public of a major cause of their current luxury – even though they have moaned for decades now about how stressed they are and how predictable most of their lives are. Their pervasive folk explanation is that German hard work and sacrifice, decade after decade, brought the goodies. The obverse is that those without, both the German working poor & those poor Greeks, have only themselves to blame: lazy but profligate, tax evaders but seekers of entitlement, for the Greeks a society based on corruption, nepotism, clientelism. Economic history is not a strong point amongst the German populace, and it would have come as a shock to hear someone mentioning a 62.6% write-off, and other measures, that allowed the German state to pay off almost all its debts within seven years – whereas Britain paid off its war debt to the USA a full 50 years later, in 2010. But it seems the SYRIZA approach in government is to be ‘polite’ in public, not to speak bluntly. Talk of fascism is so hoary for a German audience: here we go again, 70 years on, this time not the Brits going on about the Nazis but the poor Greeks, going on about their own Rechtsextremismus. It’s so old hat, Peter crying wolf. Oh just stop bleating and knuckle down and pay off your debts. That was the effect of Varoufakis’ plea. Water off a duck’s back. Whereas mention of London 1953 would have pricked the ears of anyone under 80. That would have been news. That would have set people talking: what on earth is that trendy Greek guy on about? 2) Varoufakis’ declaration of inconsistency was made at the 6th Subversive Festival, Zagreb, May 2013. In the Q&A he said two interesting things that weren’t in the write-up on his blog. First, at the time he thought it would be possible for a SYRIZA government to borrow more advantageously from the IMF as that organisation judged the Eurozone (that is Germany) as being too hard on Greece. Second, organising a return to the drachma couldn’t be done in less than eight months – with the inevitable capital flight in the form of money; antithetically to Schumpeter, this would be destructive destruction, property rights exercised to blight a society. In his main speech he also used a phrase evocative of Rakovsky’s ‘”professional dangers” of power’. Recalling an airport experience, breezing past a queue of plebs in Economy, First Class ticket in hand, and ushered to a vacant X-ray machine, Varou confessed, “deep down I suddenly realised that I felt I deserved that”. Instantly he knew the thought was wrong. As he had just said, “[t]he lure of power must never be underestimated”. In his write-up, to his great credit, he admitted, “I know that I run the risk of [. . .] indulging a feeling of having become ‘agreeable’ to the circles of ‘polite society’.” Time will tell. 3) Readers may be interested to know that this YouTube channel has rich material, & like a resurrection from 40 years ago it has these on the continuing crisis: Poulantzian offerings from Jessop, Kannankulam, and Wissel; Bonefeld on ordoliberalism and the EU; and two general discussions. 4) In the Q&A Varoufakis mentioned Alpha Bank. One of its directors appeared in a vid last November, ‘Greece reinvigorated by PPP projects’, the accursed public-private partnerships. It was an exemplary production by that neutral media outfit, World Finance: the Voice of the Market. All that was missing was a host of vampires. By the way, does anyone know the SYRIZA government’s policy on PPP? Will it uphold the sanctity of contract but try to re-negotiate the terms? I wasn’t hugely impressed by the Golden Dawn riff. I thought it was one of those occasions when an advocate thought they had come up with a brilliant point, only that it wasn’t brilliant outside their own mind. And while I’ll park 1953 certainly a different argument may have been more compelling. Re the IMF I do think Syriza read that institution as in the short-term more amenable (aren’t a relatively high proportion of the immediate debts owed to it)? I suppose – on the tactics – the key questions are surely how much are the other side, and Syriza, offering now? In a way I asked the wrong question about PPP: all that matters is what the Troika wants. And, not surprisingly, it’s a case of PPP rules. • Commit not to roll back privatisations that have been completed. Where the tender process has been launched the government will respect the process, according to the law. • Safeguard the provision of basic public goods and services by privatised firms/industries in line with national policy goals and in compliance with EU legislation. • Review privatisations that have not yet been launched, with a view to improving the terms so as to maximise the state’s long term benefits, generate revenues, enhance competition in the local economies, promote national economic recovery, and stimulate long term growth prospects. So it means the government will try to privatise Piraeus docks: “[c]ommit not to roll back privatisations that have been completed. Where the tender process has been launched the government will respect the process.” The SYRIZA leadership has decided to combat its own membership & supporters – and the Greek Communist Party. Please, David, do not under-estimate the ugliness and despair which could characterise the public mood in Greece if Syriza were seen to have suffered a humiliating failure. The far right would be well placed to exploit this to their advantage. Of course the Euro-area negotiations can – at best – only result in a compromise. Much like the Brest-Litovsk “peace negotiations.” Interestingly the Greek media is reporting that even limited and partial concessions won by Syriza will probably boost popular confidence. The current stand off is about securing positioning for a much longer struggle. But dramatic breakthroughs depend on Syriza type breakthroughs elsewhere in Europe (starting with Spain?). Also to say that readers may enjoy Chris Jones’ and Sofiane Ait Chalalet’sopen letter here, which develops the notion of reforms in the Venezeulan style – ie to change the relationship between the people and the state, something I too have previously suggested we should be looking for. So SYRIZA are agreeing to try to address what they call Greece’s humanitarian crisis by not even running a balanced budget. No, they want to demonstrate how trustworthy they are as managers of capital, how fiscally responsible they are, by allowing distressed people to not only continue to suffer but to receive even less, thereby playing their part in contributing to the achievement of a budget surplus. We’re all in this together, we can all do our lil bit, however small, however farcical, however much it drags us down. SYRIZA is now the party not of Kaleckian deficit budgeting, not even of balanced budgets, but of Chicago School budget surpluses. George Osborne & UKIP can only dream of creating such a power block, such a hegemonic force, such a strategic-relational approach to politics. In Hell’s kitchen only the Devil’s brew can be made. A month is proving a short time in politics. If we didn’t know before, this is indeed a time when it has been demonstrated that demonstrations are not enough. Change needs the means, & if you can’t borrow & you won’t expropriate your own rulers then your talk of change is largely talk – not least in trying to explain to those whose hopes are dashed that you did all you could. Change needs the means. They may be austerians – but they’re our austerians. Yes, Syriza will have to hold the Greek front for some time. But I am not sure that their supporters believe everything can change overnight (as a reported poll in Katherimini underlines). Incidentally there MAY (just MAY) be another left/centre actor emerge after the UK general election. Of course little can be expected from a Labour government. But IF it is dependent on the SNP for office, I would not entirely rule out changes in the priorities of government economic policy. This will not be a social revolution or anything remotely like it. But it may add to the growing opposition across Europe to endless austerity.